Recruitment marketing software offer solutions for biggest recruiting goals and challenges today. While challenges used to be messy and disorganized hiring processes, this is not the case anymore. Recruitment marketing features help finding, attracting, engaging, nurturing and converting candidates into applicants. With "the War for talent" becoming more and more intense, the way we recruit has changed. Today, it is not enough to post jobs on job boards, or offer candidate a position. It takes much more to hire the perfect candidate. Job seekers now have a lot of information online. When they choose a new employer, they read, compare and evaluate before thy make any decisions. In order to make yourself their employer of choice, you have to be able to attract them and trigger interest in them. Talent attraction has become much like marketing. The same way we attract buyer to buy our products, recruiters have started attracting talent to apply to open positions. With all the marketing strategies being used in recruiting, a relatively new disciple has emerged: Recruitment Marketing. To be able to keep up with all the new methods, many recruiters today use Recruitment Marketing software. When trying to identify which recruiting tool to invest in, one of the easiest way to do is identifying solutions that they offer. Here, I will discuss solutions offered by recruitment marketing tools that can help you overcome your recruitment challenges and achieve your recruiting and hiring goals. To move candidates all the way from a job awareness to job application stage, a tool you should be using is Recruitment Marketing Software. Today, many modern recruiters use recruitment marketing strategies that have proven to bring outstanding results. 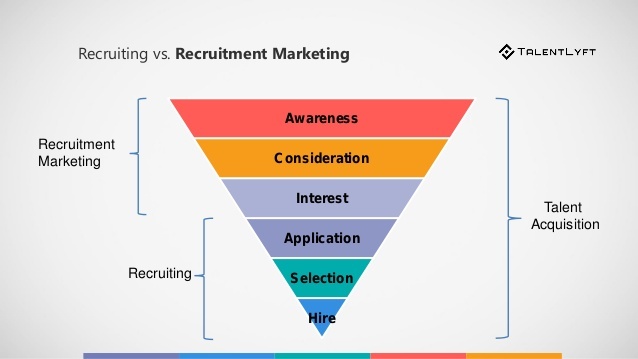 Features that recruiting marketing software can lead you through the 5 stages of recruitment marketing process: Find, Attract, Engage, Nurture and Convert candidates. Are you looking for a Recruiting Software to help you improve your recruitment strategy? Check out our guide for buying a recruitment software! With just one click, distribute your job opening to multiple free and premium job boards. Posting on just one job board is not enough to get high-quality applicants. On the other side, manually posting to multiple job boards is too time consuming. Social recruiting is a must today. Integrate your social media accounts, such as Facebook, with you recruiting software. When talking about passive candidates, your job ads are much more likely to be seen on social media than job boards. 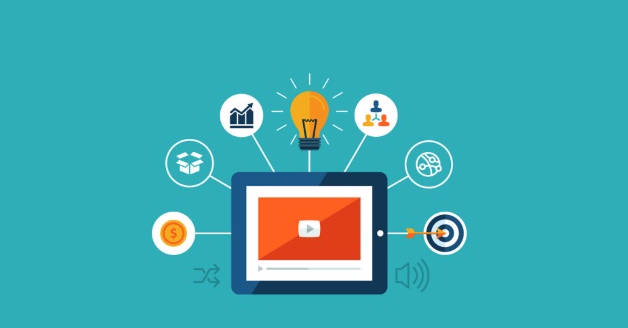 All modern recruitment marketing tools should include syndication with social media. Effective candidate sourcing is one of the biggest goals and challenges of every recruiter. Do not get a recruitment marketing tool without this feature! Being able to find and approach passive candidates is important because they are everywhere! Web sourcing is a powerful tool that searches for people with specific profiles on online platforms, internal and external databases and imports them directly to your ATS. Sometimes, when it comes to a new candidate search, you need to look no further than your own company. Some recruiters believe that Employee Referral Programs are the best way to hire new employees. Some recruitment marketing platforms enable you to set a structured Employee Referral program as a part of your recruiting strategy. Attracting high-quality applicants should be a long-term goal for every recruiter. Yet, many recruiters whose main recruiting goal is to attract candidates, are still not sure about possible solutions for attracting high-quality candidates. This is not a onetime task, and it requires a lot of planning and strategy. 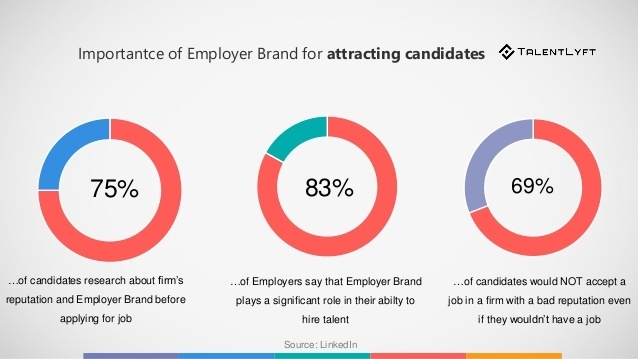 To improve employer branding is another high priority recruiting goal for 2018. Recruitment Marketing platform enables you to showcase your Employer Brand throughout all the candidate touch-points. These Employer Branding ideas will help you get started. Remember, communicating your Employee Value Proposition is the center of every Employer Branding strategy. Personalize your job ads to finds, attract and hire best talent with a perfect fit. Make them clear and full of relevant information important to potential candidates. Use these job description templates to get started. With a recruitment marketing software, this is an easy, yet powerful step in attracting candidates. When choosing a recruitment marketing platform, make sure that this feature is available. Social recruiting has become important recruiting strategies of every modern recruiter. Since Millennials are spending every day on social media, recruiters have started doing the same. 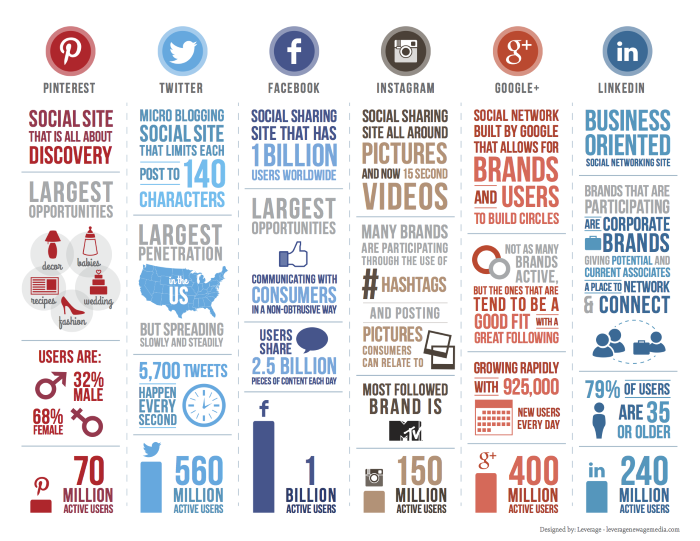 To make the best out of every social media platform, here is a little cheat-sheet by Leverage. In order to attract Millennials, you have to be where they are, and deliver a message that is interesting, relevant and useful. Modern recruitment marketing software integrate with your social media platforms, and make this step easy and fun. When researching about companies, candidates always go to career sites. An unattractive and boring career site can cost you high-quality applicants. Recruitment marketing software offers a solution to create a beautiful career site that reflects your company’s culture and brand. Get more applicants through your career site using the best practices. Yes, marketing and recruiting must learn how to collaborate in order to improve hiring and recruiting strategies. Both passive and active job seekers do their research about companies and job openings on search engines. If you are not properly using keywords to describe your awesome company’s culture, your job openings, job descriptions, duties and responsibilities, Google may not rank you as high as you would like to be. Understand what job seekers are looking for, and customize your online content accordingly straight from your recruitment marketing software. Once you have built your talent pool, it is important to have a strategy for engaging and nurturing them. Timely communication of highly relevant content and information through your recruitment marketing platform is crucial for building strong relationships with candidates until they are ready to make the move and apply for you current or future job opening. Candidate Relationship Management tools are considered one of the most important and most powerful solutions for converting passive and active job seekers into applicants. As the name explains, CRMs are built to develop, strengthen and maintain relationships with candidates from your talent pool. In addition, candidate relationship management is the best way to optimize candidate experience- one of the biggest recruiting priorities today. As a recruiter, you probably already know which roles in your company are hardest to fill. For those roles, create and send highly personal, automated email campaigns directly from your recruitment marketing platform. Send relevant information about industry trends, tips for finding and getting jobs, updates about your company and new career opportunities. Building your talent pool by talent networking has become a popular long-term recruiting strategy. Instead of just offering candidates to apply for open positions, offer them to join your talent network. Many people that may be interested in your company, may not be ready to apply yet. Build your talent pool with these candidates, and keep them in the loop with engaging email campaigns. Once you provide all the attractive, relevant and useful information, these candidates are likely to become your highest-quality job applicants. Having a career site that lists your job opening is not enough to engage high-quality applicants. With a recruitment marketing platform, you can create team blogs on your career page where you can write interesting and fun facts about your company’s brand, culture and values, about company’s current projects, industry trends or anything else candidates would see as valuable and interesting. Ask them to engage, comment, give suggestions, share or like. This is one of the most innovative and very powerful tools that gives you a competitive advantage over competitors. When giving a perfect example of a well designed micro career site, I like to use Intercom's engineering career site. Now that you have finally managed to convince candidates to choose you as their next employer, you have to make sure that their application process is as easy and painless as possible. In addition, to be able to start converting more candidates into applicants, it is important to identify areas that have room for improvement. Do you know how many candidates that start filling your application form, actually hit “Submit”? 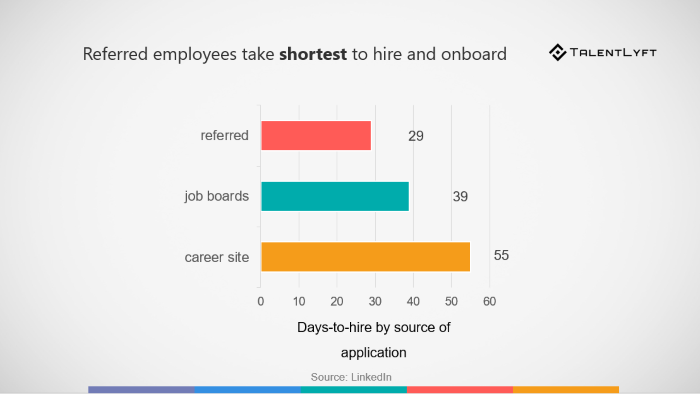 According to Society of Human Resources Management, 60% of job seekers abandon online application forms because of their length and complexity. Candidates for hard-to-fill roles have numerous options, and they are aware of that. A little thing such as too many fields to fill out may be the reason for not converting a visitor into applicant. With a modern Recruitment Marketing software, you can adjust your application form to best match your target audience. This way, you are much more likely to get more high-quality ob applicants. In order to convert more high-quality applicants, it is important for you to understand what is working and what is not working in your recruiting strategy. Knowing the importance of tracking every step of candidate journey and recruitment marketing, some modern recruitment marketing platforms now have the ability to do so. Here is the list of most important hiring metrics. All these metrics can give you great insights on where your best candidates and hires are coming from, how to shorten your time-to-hire, how to reduce your cost-per-hire, who is your best recruiter, if and why are candidates abandoning your application form and many more. Looking to improve your Recruitment Marketing strategy? If you are an HR specialist looking to attract more high-quality canddiates, you should probably start with improving your Recruitment Marketing strategy. This is, however, hard without the right Recruitment Marketing software. To see how TalentLyft has helped hundreds of companies improve their strategies, set up a consultation call with our experts.